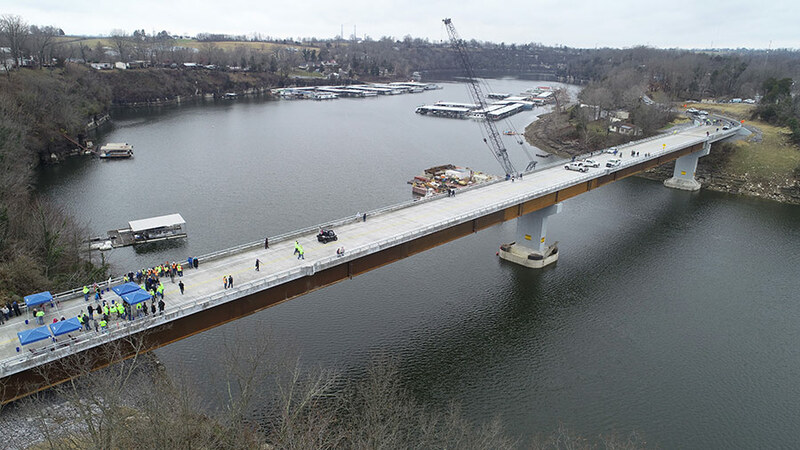 HARRODSBURG, KY – Eleven months ahead of its original schedule, the new Kennedy Mill Bridge is complete and safely connects Kentucky’s Mercer and Garrard counties across Herrington Lake. Originally scheduled for completion in November 2019, the new Kennedy Mill Bridge replaces a 94-year-old, triple-span truss bridge that had endured numerous closures and repairs in its final years. Walsh Construction was the general contractor for the 826-foot-long bridge that required unique engineering and constructability methods due to the 200-foot depth and behaviors of the lake. Combating the depth of the lake, Walsh Construction built bridge piers from the bottom of the spread footing to the top cap. Piers were constructed above water on barges and incrementally lowered with strand jacks, eliminating the dangerous work of deep underwater construction. The lake levels were also sporadic, and the project overcame torrential rains that significantly impacted foundation work during the summer. Lake levels rose to some of its highest levels in history and shut down foundation operations for three months. 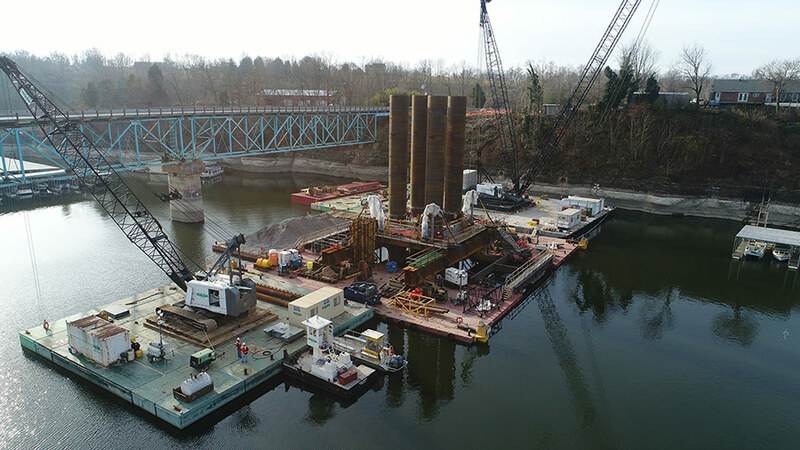 During that time, Walsh crews shifted their focus to the excavation and installation of a gravity wall, drilling and concrete placement of drilled shafts located on one side, preassembled deck panels, edge forms, and overhang jacks and completed the removal of the existing bridge. 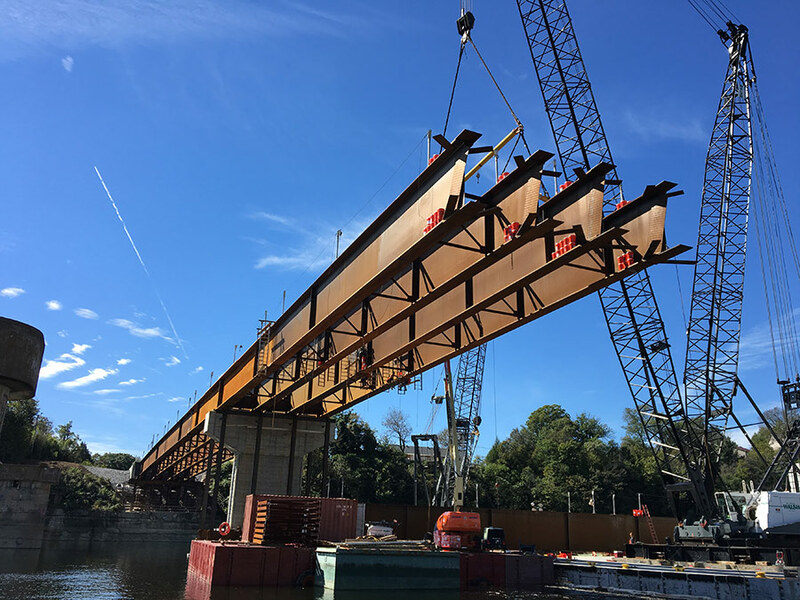 Steel girders that weighed up to 178,000 pounds were first installed in September across five segments, and deck pours began in mid-November. 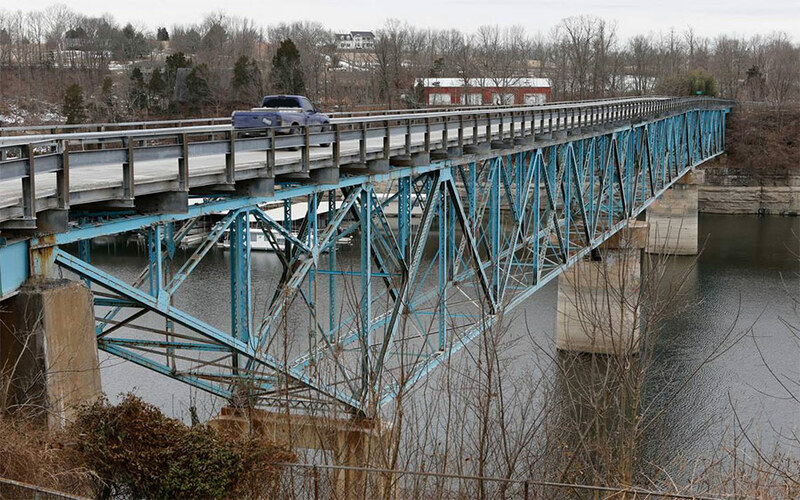 Walsh Construction announced the bridge would open to traffic on Friday, December 21. Final pavement and other finishing operations will be completed in the spring. 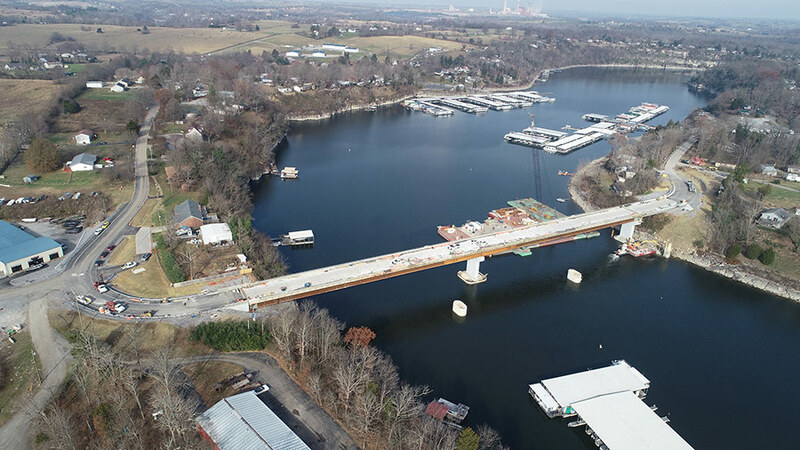 The opening of the Kennedy Mill Bridge restores the vibrancy of the communities surrounding Herrington Lake, a recreational lake filled with boaters, marinas and businesses. Walsh Construction crews were in constant communication with community members and were regular attendees community meetings and events. The Kennedy Mill Bridge is the third most recent bridge completed by Walsh Construction in Kentucky. Walsh completed the new Abraham Lincoln Bridge in Louisville in 2015, and the company was the lead contractor in the public-private partnership that delivered the Lewis and Clark Bridge northeast of downtown Louisville. “Our workforce came from all over Kentucky and Indiana. Many people traveled from our previous projects in Louisville, and some came from the local union halls. They’ve put in long hours and weekends to finish this bridge early. They went above and beyond, and the success and the acceleration of the project would not be possible without all of their efforts,” said Kevin Buch, project manager at Walsh Construction.